The BMW e36 M3 is undeniably a popular car. Love them or hate them, they handle well, make decent power, and still look presentable for a car built in the mid 1990s. Like most old cars though, finding nice examples today can be a tall order, or you’ll have to pay a pretty penny. The other issue with the M3 is that it was a performance car from day one, so a lot of them have been thrashed after two decades on the road. In fairness, there’s plenty of beater e36 M3s for as little as 5,000 bucks, but those cars are ticking time bombs of deferred maintenance. So how do you get a well-kept car and M3 performance without breaking the bank? The 328i(s) and 323i(s) just became a lot more interesting. The 323 and bigger brother, the 328, both came equipped with the OBD2 M52 engine in 2.5 and 2.8 guises, respectively. The 323 was available as a coupe or convertible, and was good for 168 horsepower and 181 lb./ft. of torque. The 328 started off with a healthier 190 horses and 210 lb./ft. of torque, shares the M3’s ZF320 gearbox, and had the added option of a 4-door sedan. 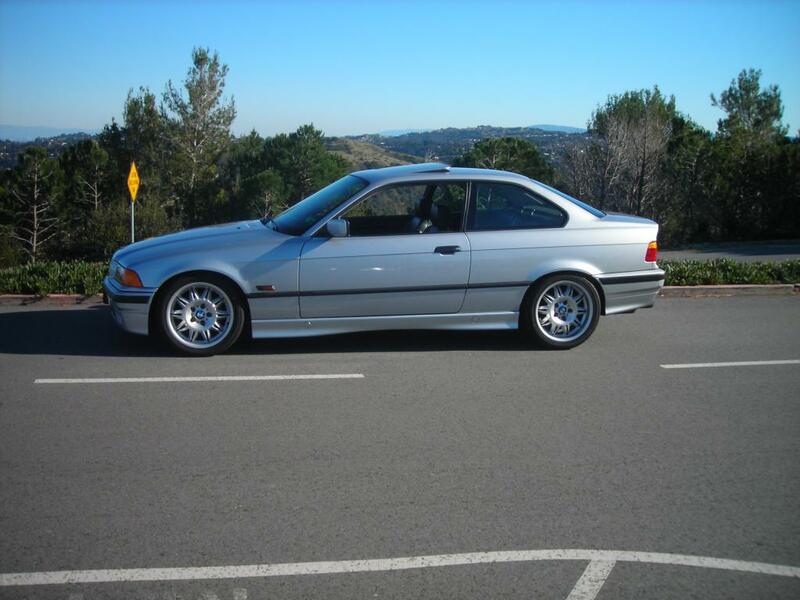 If you’re extra patient, you might be able to find a ’99 328 M-Sport which gave buyers the M3 bumper treatment. Whether US spec M3 owners want to admit it, most of what makes an M3 quick has to do with the cams, gearing, and exhaust. These are all relatively affordable parts and most aren’t too much trouble to install. First we’ll start with gearing: The 323 and 328 manual cars came with a tame 2.93 open differential. Great for low revs on the highway, but leaves a lot of room for improvement. Good news is that an M3 LSD bolts right up. The 3.15 LSD from a ’95 M3 5-speed is a good start to make your M52 car scoot through the gears quicker. For a little more acceleration, I would strongly suggest the 3.23 found in any ’96-99 manual M3, as it wakes the car up that extra bit, but keeps 80 mph in 5th gear at a tolerable 3500 rpm. If all you care about is being in the powerband, you’ll want a 3.38 out an automatic M3 sedan or convertible. Be warned though, as you’ll be buzzing down the highway close to 4,000 rpm. The diff swap is mostly plug-n-play, but you will need to use your non-M stub axles, and some earlier M3 diffs will need the 6 bolt input flanged swapped to the more common 4 bolt style. 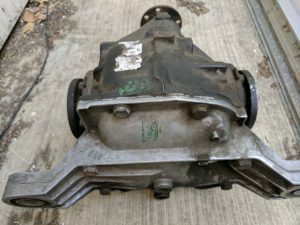 The current market rate for a used M3 diff ranges from 300-600 bucks, with the 3.38 being the most expensive of the bunch. Cheap insurance would be to replace the cover gasket and gear oil while everything is out of the car and easily accessible. Medium Case LSD units from an M3 will easily swap into a standard 6 cylinder car. LSD cases have an “S” stamp as seen on this 3.23 differential. M3 wheels are an affordable way to mount wider rubber. Seen here are staggered 17×7.5/8.5 DS2 wheels with 225 & 245 tires. 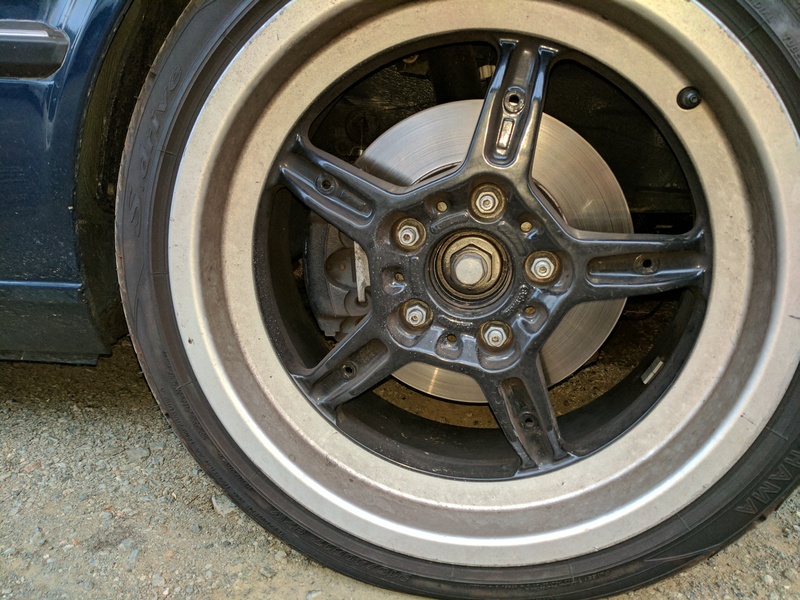 The standard 286mm rotor setup is adequate for most street cars, but 17″ wheels can accept much larger brakes. e46 330 front calipers bolt directly to non-M e36 spindles, and let you use 325x25mm rotors. Junkyards and Craigslist are good spots to source 330 calipers. For most naturally aspirated BMW’s, an exhaust doesn’t yield too much in the way power. On the 328, and exhaust upgrade is usually done in the name of sound and weight savings, otherwise it’s very similar to the M3. The 323 on the other hand, got shafted from the factory with a very restrictive single pipe muffler and midsection. 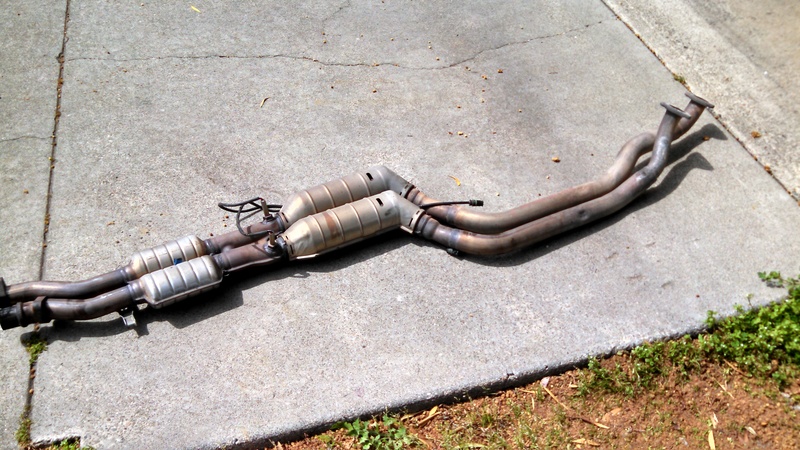 The remedy is to find a 328/ M3 stock dual pipe midsection and bolt it up with the aftermarket muffler of your choice. The o2 sensors will have to change position slightly on the 323, but the ports are already present in the header and dual pipe midsection. 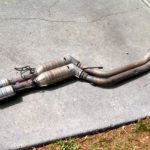 To hear the fruits of your labor without being obnoxious, look for a used M3 Dinan, Remus, Stromung, or Supersprint muffler. Most of the other options will be noticeably louder or worse…drone. 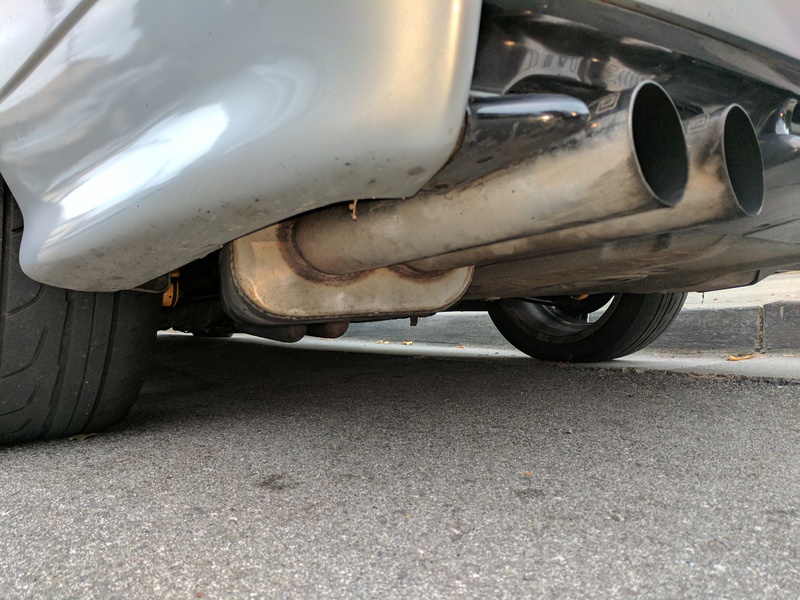 Expect to spend $300-700 for a used quality exhaust. If you have a 323 and need the midsection, add another 250 bucks to the tab. A bit spendy, yes, but the exhaust is going to help with the mods to come. The OBD2 midsection is a true dual setup. A much needed upgrade for both OBD1 325/M3 cars, as well as the 323i(s). 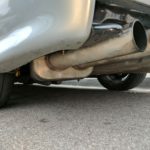 Aftermarket exhausts are a good way to save some weight over the heavy stock mufflers. This Dinan Gen.2 muffler is sporty without being overly loud. 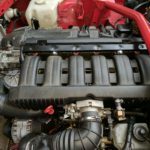 The M52 & S52 use a restrictive intake manifold. Good for low end torque, but power up top is left on the table. The M50/S50 intake manifold has much larger runners that improve high RPM airflow for OBD2 cars. Now it’s time to get your hands dirty (or pay someone one else to get dirty). Cams are the surefire way to add more power to your M52 equipped e36. The S52 cams are a direct replacement into an M52 cylinder head. The good news is that you can replace the cams without removing the head. The bad news is that the cams are hollow, so they can bend if not removed or installed correctly. This is without a doubt one of the more involved installs. Do it right though, and you’ll add at least 20 whp with a proper tune. A pair of S52 cams runs about 300 bucks when they pop up for sale. Ever wonder why the earlier 325i m50 and 328i make virtually the same power, but the M52 makes a lot more torque? The answer lies in the intake manifold. 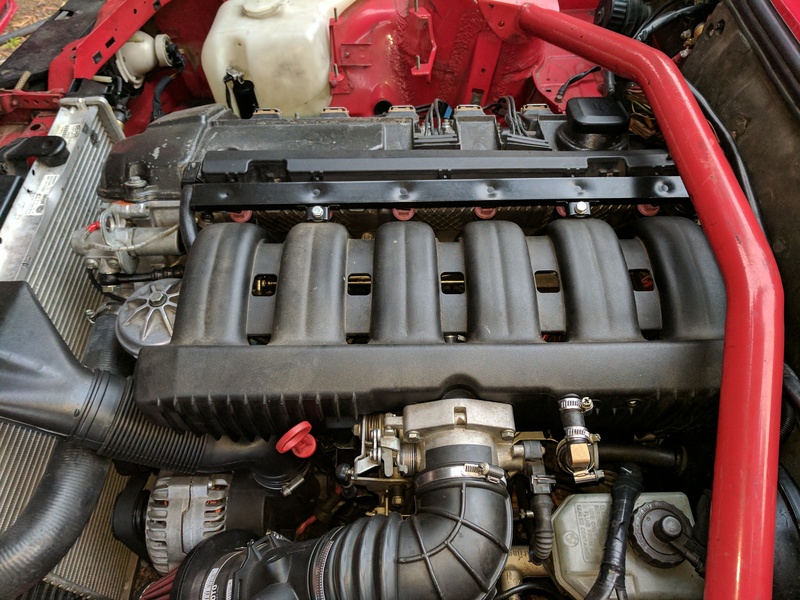 The older OBD1 e36 has an intake manifold with larger runners, whereas the obd2 cars (M3 included) have a more restrictive manifold. The idea being to make the later cars have good low end grunt, but they sacrifice top end power as a result. 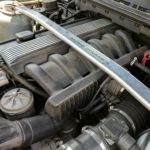 With use of an adapter kit, the M50 manifold can be retrofitted to the later cars and will add around 10 wheel horsepower with no tune whatsoever. 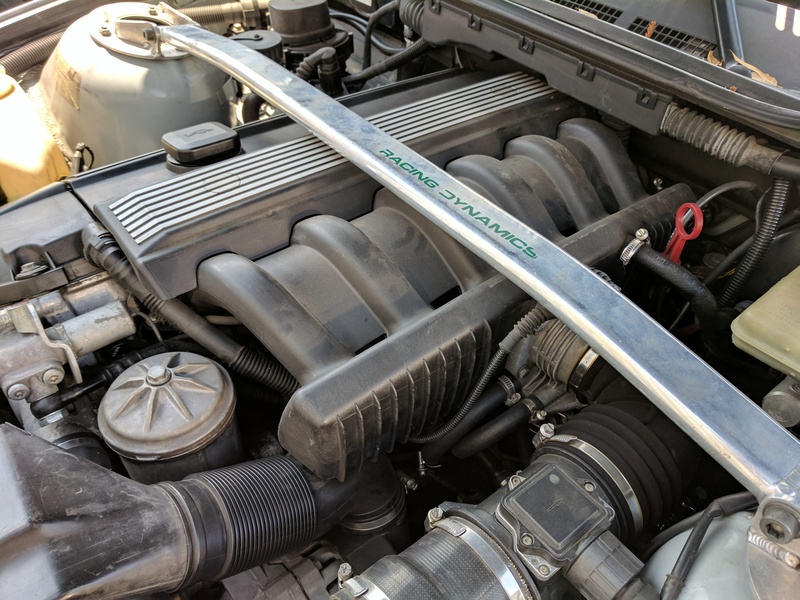 The trade-off is that the M50 manifold shifts torque higher in the powerband, but good software will make this unnoticeable and make more power in the process. Adding extra power is fine and dandy, but it’s not going to do any good if you can’t slow down. The M3’s have good brakes as stock equipment, leaving the non-M cars a little jealous. 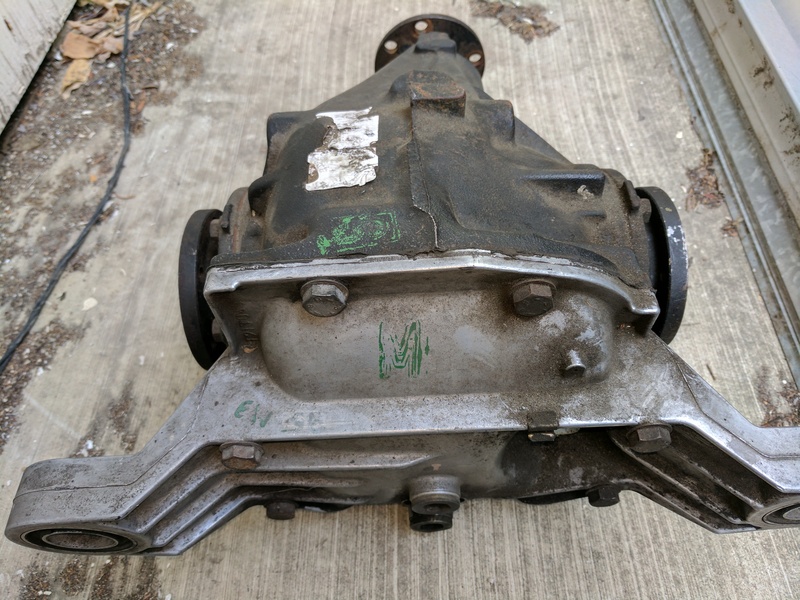 Swapping in M3 brakes isn’t impossible, but it does require the front spindles and rear trailing arms (with axles) to be replaced in the name of M-stamped stopping power, and quite a cumbersome job. What’s great about old Bimmers is they can often use the parts off newer cars. The e36 is no exception, and the braking system can easily be upgraded using pieces off the later e46 chassis cars. The internet will tell you there are all sorts of combos to try, but I feel there’s only one combo that’s worth the hassle, as the parts are still easy to source from junkyards or cars being parted out. The combo uses e46 330 front calipers and carriers, paired with e46 325/328 rear calipers and carriers. The front allows you to use the 325x25mm rotors off a 330 (a sizeable increase over the 286x22mm standard e36 front rotor), and the rear caliper setup gives you vented discs that are twice as wide as stock (294x20mm vs. 280x10mm). Everything bolts right up to a non-M e36 and keeps the brake bias within spec. 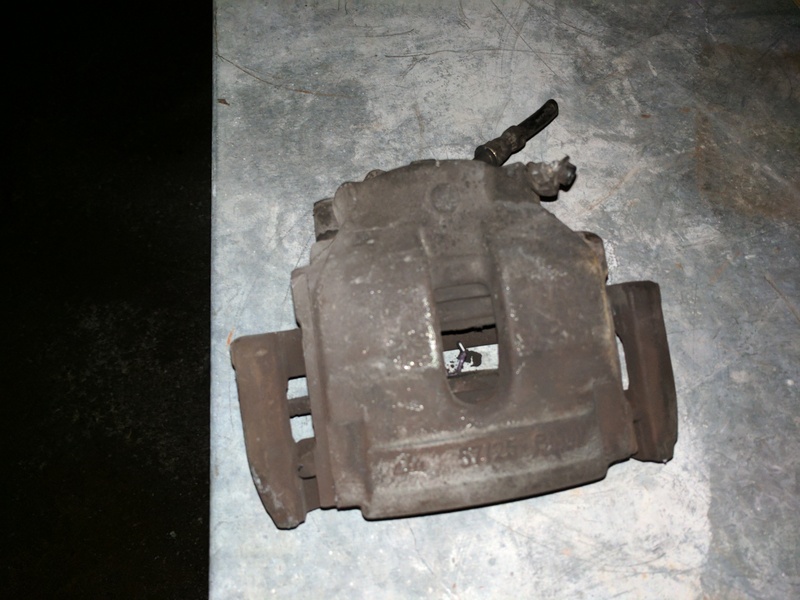 The one caveat to the e46 brake combo is that 17″ wheels are required to clear the front calipers. Many cars may have already upgraded to 17’s over the years. If your car is still rolling on stock 15″ or 16″ wheels, M3 17″ wheels can be easily found for around $400, and offer both more grip and wider (pun intended) tire selection. 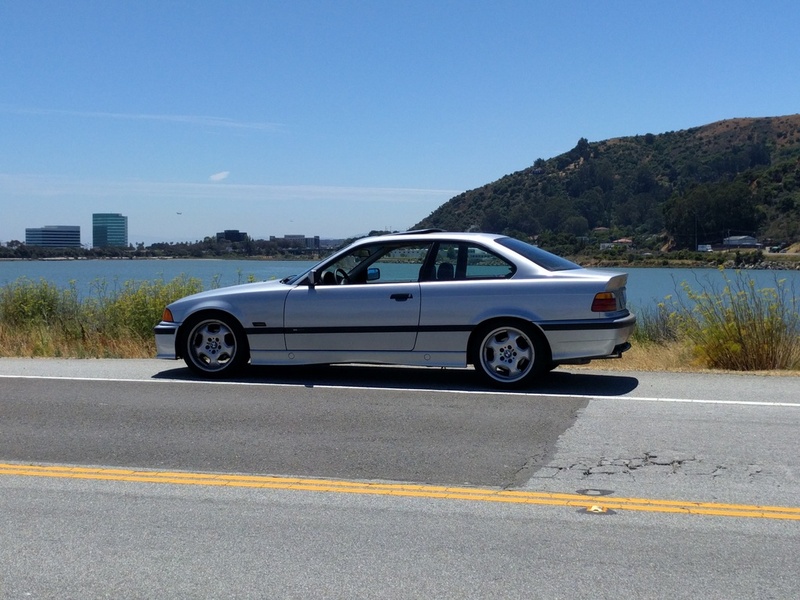 One of the biggest praises of an e36 M3 is it’s handling. Everyone and their mother will tell you how “connected” to the road the car feels, or that its steering feel is telepathic. Worried that your baby 3-series can’t cut the mustard in the handling department? Don’t worry, as the non-M cars can be easily brought up to spec in short order. 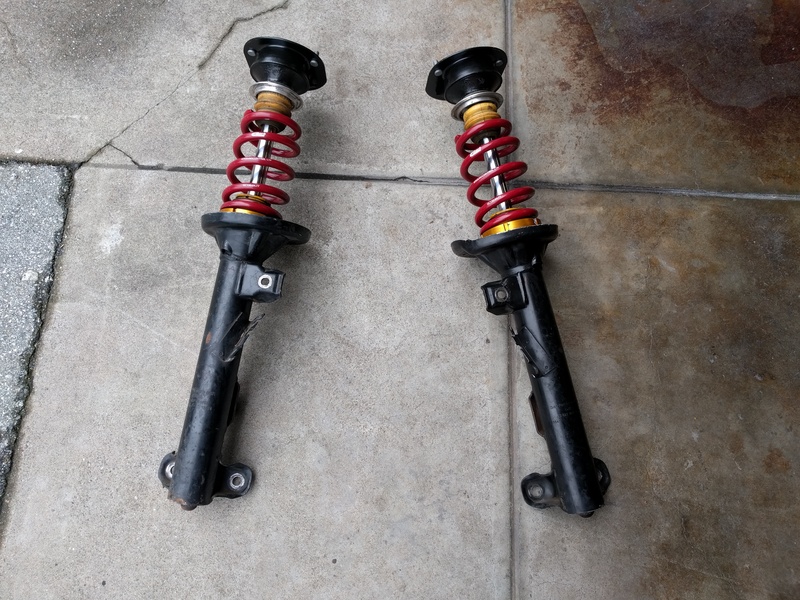 Regardless of the model, all the e36 cars share the same mounting locations, so suspensions are interchangeable (aside from the rear ends of the 318ti and Z3…back to e30 land for you guys!). Since a lot of cars could be rolling around on tired suspensions, this is the perfect opportunity to upgrade things. 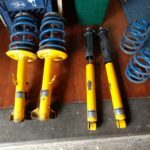 The minor differences in e36 suspensions could be an entire topic of its own, but we won’t go there in this article. To keep things simple, just look for a quality set of shocks and springs for your car. Bilstein and Koni are usually the popular off-shelf brands for shocks and struts, with Koni shocks having the ability to adjust rebound. Springs choices should be kept mild on a street car. It’s not so much the spring rates that are a problem, but the severity of the drop. 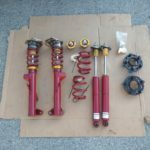 Springs like H&R Race aren’t a good choice because they take away a lot of suspension travel, so the shocks are essentially bottomed out. That’s why H&R Sport springs or Eibach Pro-Kit springs are better options for street cars because they’re moderately stiffer, but still retain sufficient shock travel. 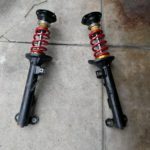 A quality shock and spring combo can be pieced together for about $850 if you shop around. The other option is to go all out for a custom coilover setup. 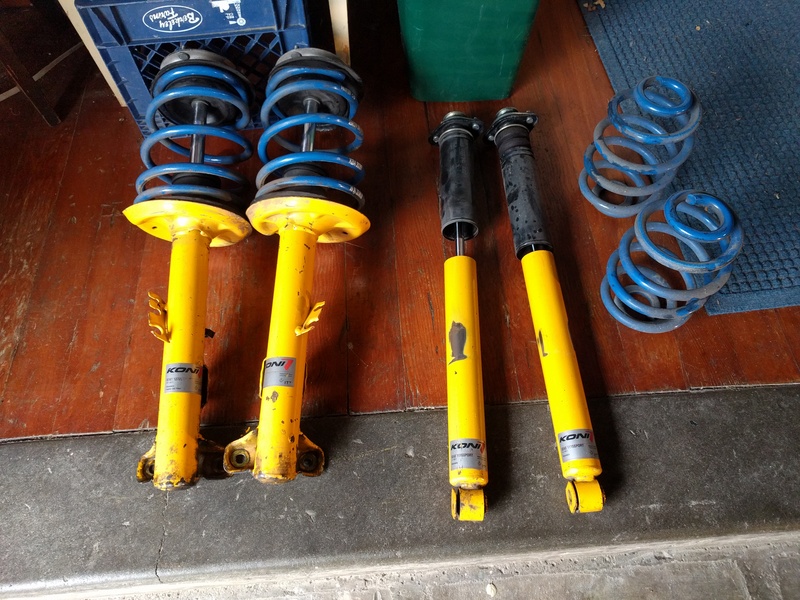 The benefit to these suspensions is they allow you to pick the spring rates and their short body shocks are designed to work at low ride heights. A lot of these kits come with camber plates too, so you can fine tune your alignment as well. The downside is a proper coilover suspension will cost a minimum of $1500. In the e36 community, AST, Ground Control, and TC Kline are popular choices for track day junkies. If you plan to go this route, buy coilovers meant for an M3 because they’ll bolt right up and give you a better sway bar mounting location, making your existing sway bar more effective. The standard Koni with H&R sport spring combo. Popular for street cars. M3 strut housings have sway bar mounting tabs. They need matching M3 springs and hardware to swap into the non-M cars. 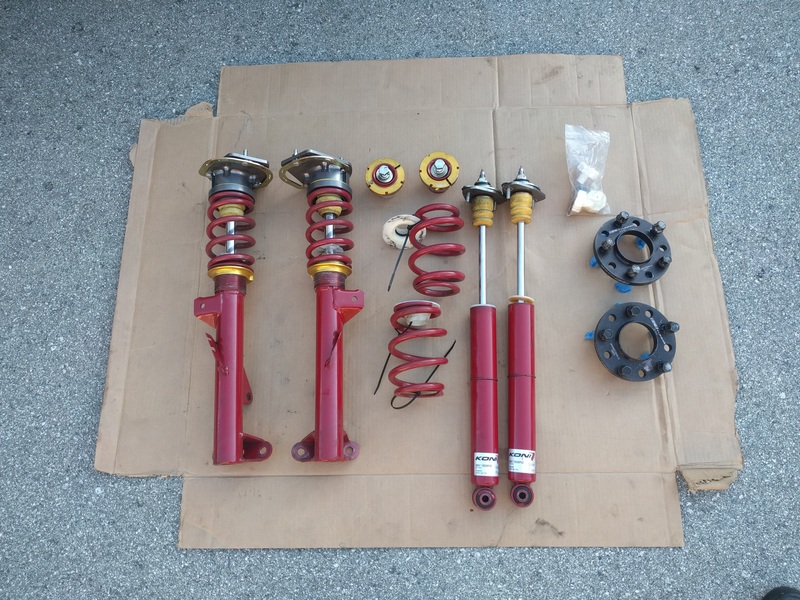 This is what $1800 plus tax and shipping gets you: A dedicated coilover suspension that’s fully adjustable. These happen to be Ground Control’s e36 kit. Something that’s often overlooked is the front end alignment of an M3. Offset control arm bushings and M3 style front strut mounts (if you don’t have camber plates already) will add extra caster to a non-M car. The steering feel will be a bit heavier, but the car will gain more high speed stability from the slightly elongated wheelbase. It’s a simple, yet effective way to improve the handling dynamics, even on an otherwise stock suspension. The bushings are all of 40 bucks, while the mounts will run you around 100 bucks. As you can see, the M3 parts can be easily retrofitted to the standard cars without much fuss. If you have an earlier M50 powered 325i, a lot of what has been written still applies, but getting extra power out of the 2.5 liter M50 is going to be more challenging due to the older OBD1 engine management. For these cars it may be easier to swap an S50 or S52 engine that already produces 240 horsepower stock, otherwise accept the M50 for what it is. By no means is this the ultimate guide to modding your non-M e36. It will however give you a good sense of where to start without shelling out too much green in one sitting. Aside from the cams and suspension, most of these upgrades can be done in increments of a few hundred bucks, which conveniently coincides with most Craigslist purchases. Think twice though before wiring money to assist the prince of Nigeria. I think he can do without your help.